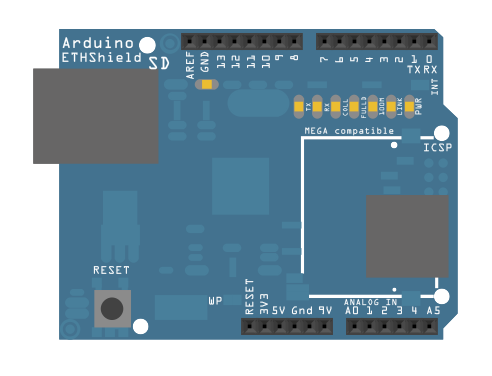 In this example, you will use your Ethernet Shield and your Arduino or Genuino board to create a simple Web server. Using the Ethernet library, your device will be able to answer a HTTP request with your Ethernet shield. 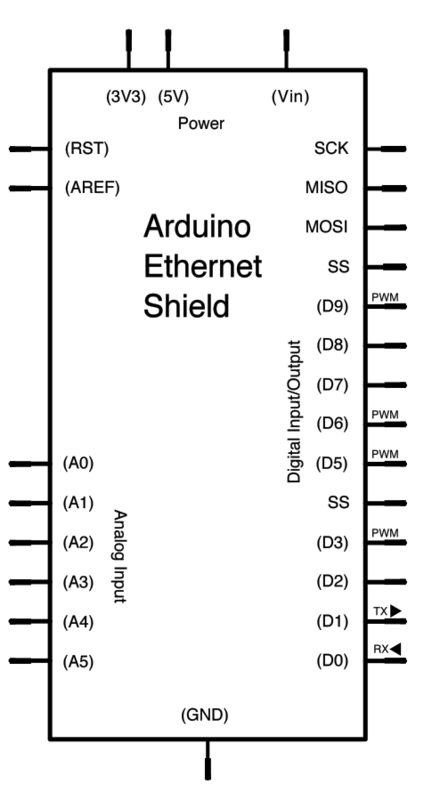 After opening a browser and navigating to your Ethernet shield's IP address, your Arduino will respond with just enough HTML for a browser to display the input values from all six analog pins. WebClientRepeating - How to make repeated HTTP requests using the Ethernet shield.